This will be the second business trip of the year and we highly feel that being close to customers, Look at the challenges they face and how an IT solution can help prospects to increase their operational efficiency and productivity is very important in growing their business as well as ours. 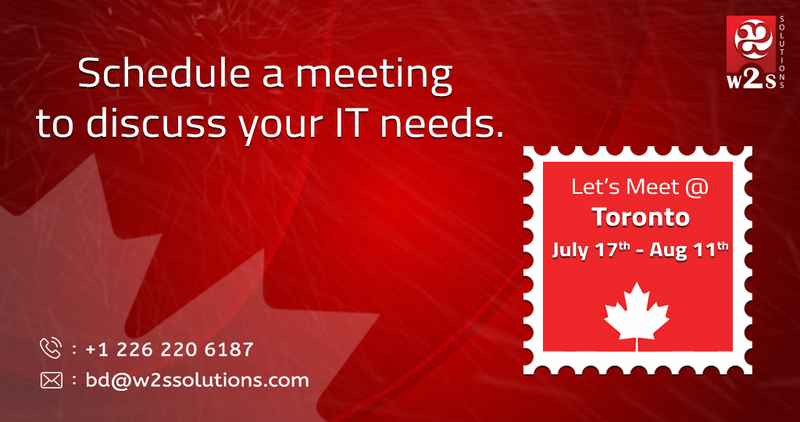 Our Agenda is to meet Startups and IT Entrepreneurs mainly in Ontario and Alberta and have a FREE consultation with them at their office premises or any common areas as their preference. As we are familiar with Startup environment and being a startup from Communitech a while ago, we know how it operates the expectations in terms of deliverables and budget. We are Startup specialists and we offer core technology solutions from Idea to growth. Our Tech experts have years of experience in building web and mobile solutions and deploy in cloud. Our Portfolio is diversified in various Industries including FinTech, InsurTech, Digital Automation, Business process and Operations management. We help Small and Medium Enterprises to migrate their legacy solution into an Innovative IT solution, Identify growth opportunities and build web and mobile apps that offers customer satisfaction, process improvement and ROI. If you are a Small Business and looking for an App development, we will be your Technology partner and it’s the right time to setup a one-on-one meeting with us. W2S Solutions (https://www.w2ssolutions.com) is an apps development company with 40+ Full Stack engineers located in Calgary, Canada and Chennai, India We have built salient web and mobile apps and looking for any development opportunities. Here is our Tech Stack. We build Enterprise Apps as SaaS. Design, Develop and Deploy apps in Cloud. iPhone and Android App developers. NET MVC Framework, Django, Python and AngularJS experts. Host application in Amazon EC2, SSL Configuration, Route 53 and SES. We request you to go through our Diversified Portfolio and lets catch up. Next Next post: Which App Development Platform Is Right For Your Business?